If the smart mode of thumbor has been specified in the uri (by the /smart portion of it), thumbor will use it’s smart detectors to find focal points. thumbor comes pre-packaged with two focal-point detection algorithms: facial and feature. First it tries to identify faces and if it can’t find any, it tries to identify features (more on that below). For instructions on how to get facial detection coordinates see Metadata Endpoint . After retrieving these squares from OpenCV, thumbor calculates the center of mass of the image using weighted average. In order to find the center of mass for all the faces, we must first find the center and weight of each rectangle. We define weight in this scenario as the area of the rectangle. Vertical Axis - Y (((55 * 10000) + (100 * 10000) + (175 * 4000)) / 24000 = 93). So for the faces found by OpenCV in that image we have the center of mass of the picture being 106x93. After finding the center of mass we can use it as the focal point for cropping. Given an image of 800x600 and a focal point at 106x93, we need to determine the percentage that needs to be cropped from the top, bottom, left and right sides of the image. 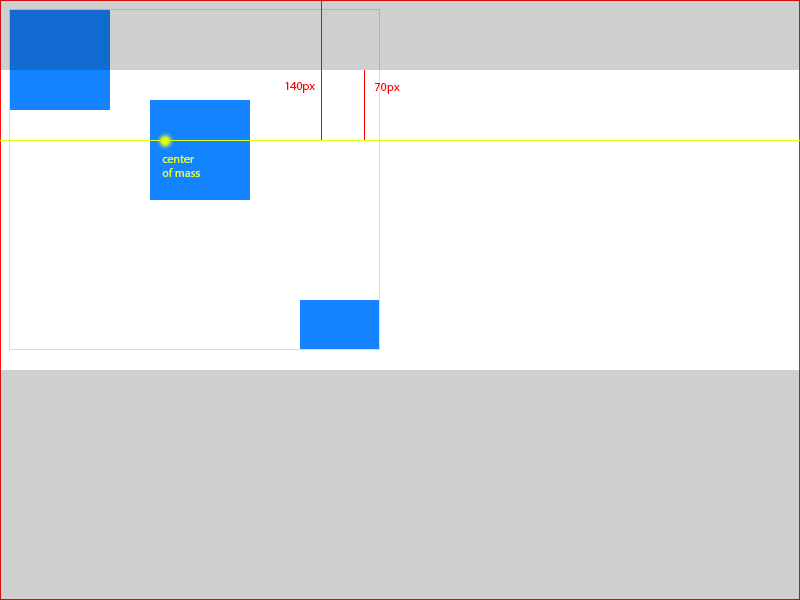 So, now we now we have to remove 46px out of the top of the picture and 254px out of the bottom of the picture. In an 800x600 picture, that means cropping from (0, 46) to (800, 346), resulting in an 800x300px image. In an image of 800x600, that means cropping from (40, 0) to (540, 600), resulting in a 500x600px image. This would not be the case for this image, though. If no faces are found in the picture, we still try to find important features in the image, provided by the Good Features to Track Algorithm in OpenCV (http://bit.ly/evAU95). According to OpenCV documentation, this algorithm finds “important” corners in the image. It then returns a list of (x, y) values. The cropping based in these features is analogous to the face one, except that all points have a weight of *1.0* and are already their centers. Let’s consider that we found 3 feature points: 10x15, 30x40, 25x60. To find the center of mass we would do ((10 + 30 + 25) / 3 ~= 22) to find the horizontal component and ((15 + 40 + 60) / 3 ~= 39) for the vertical one. This means that our center of mass in this scenario is *22x39*. In an image of 800x600, that means cropping from (0, 9) to (800, 309), resulting in a 800x300px image. In an image of 800x600, that means cropping from (20, 0) to (520, 600), resulting in a 500x600px image.